Kitchener, Waterloo and Cambridge are telling residents not to park their vehicles on city streets after 11:59 p.m. on Monday due to a winter storm that's moving into the region. Officials in Kitchener, Waterloo and Cambridge are telling residents not to park on the street as a winter storm bears down on Waterloo region. In all three cities, residents have until 11:59 p.m. Monday to remove vehicles from city streets. 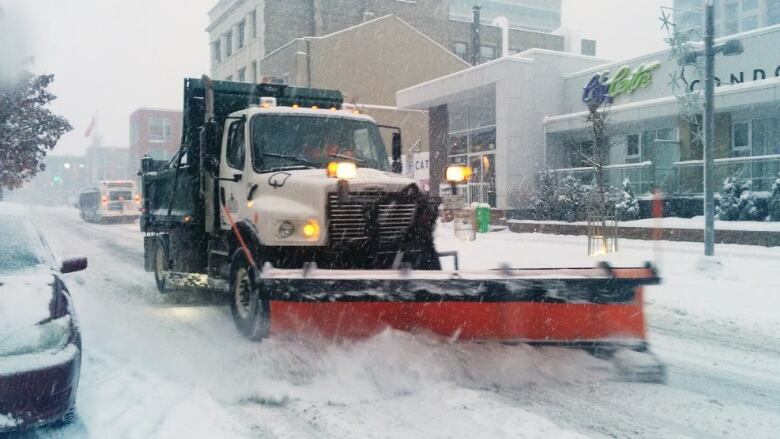 In Kitchener, the parking ban is in effect for 24 hours. In Waterloo and Cambridge, it goes until 11:59 p.m. on Wednesday. Vehicles left on the street in Kitchener may be subject to an $80 parking ticket and could be towed at the owner's expense. "Enforcement will only tow the number of vehicles necessary to allow the snow-removal equipment to do its job. It is possible that only a certain number of vehicles on a street will be removed, regardless of how many are actually present and in violation of the bylaw," the city warned in a release. "In the event that some, but not all, vehicles are towed away, the remaining vehicles found in violation will be ticketed." Waterloo and Cambridge also warn that vehicles could be towed it they are not moved. Both cities also reminded residents not to shovel snow from their driveway onto the road, as it can create unsafe driving conditions.